Our little witch has had an accident! Cute little figurine. Comes to you cleaned and primed, and ready to paint. Add some glitter for a bit of sparkle. 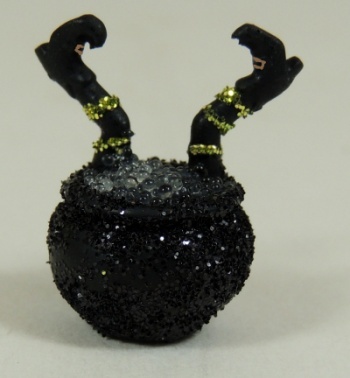 You can add tiny clear no hole beads to fill the pot with bubbles like I did, or you could make tiny halloween candies and make a clever candy dish.